Over the next few years, the German e-retailer will need approximately 1,000 new employees in the tech department only. European e-commerce giant Zalando has grown at a massive speed since it launched in Germany in 2008. When the numbers for 2015 were announced it became clear that the retailer had grown by 40 percent in some markets, reaching a revenue of 3 billion euros. To be able to handle the growth Zalando is looking to expand its workforce more or less all the time. The company does not want to say exactly how many people it is looking to employ, but over the next few years there is a need of 1,000 people only in the tech department. Zalando is also searching for talents with skills in economy, marketing, communications and several other areas. Ecomony.com met Göran Allvar, who works with content marketing at Zalando, when he visited Lund University in Sweden together with Sigrid Dalberg-Krajewski and Kristin Dolgner who are both managers at the company’s communication department. The idea behind the visit was to interview students and hopefully make them interested in a future career at Zalando. - This is mainly in order to spread awareness of what we are doing and of the fact that there is an employer behind Zalando. Not everyone knows that we are located in Berlin, for example. We are looking for a lot of people to all of our markets and even globally, so there are many opportunities at Zalando, said Göran Allvar. According to the three visitors from Berlin, the student encounter in Lund is also meant to inform people of the different professions that can be offered at the successful e-commerce company. Zalando has today approximately 10,000 employees working with 15 markets. Only in the last year the original Zalando workforce was introduced to 2,000 new collegues. Most of the employees are based in Berlin, although Zalando also has offices in for example France, as well as special tech departments in Helsinki and Dublin. Why is it interesting for you to look for staff outside Berlin? - One reason is that we need localised expertise regardless if it concerns content marketing or communication. To have grown up with, in this case, the Swedish market, and therefore knows what works and what doesn't. That can't always be found in Berlin, said Sigrid Dalberg-Krajewski. Which qualities are you looking for? - It depends on the area. To me, since I am in content marketing, it is a requirement that the person speaks the local language, said Göran Allvar. 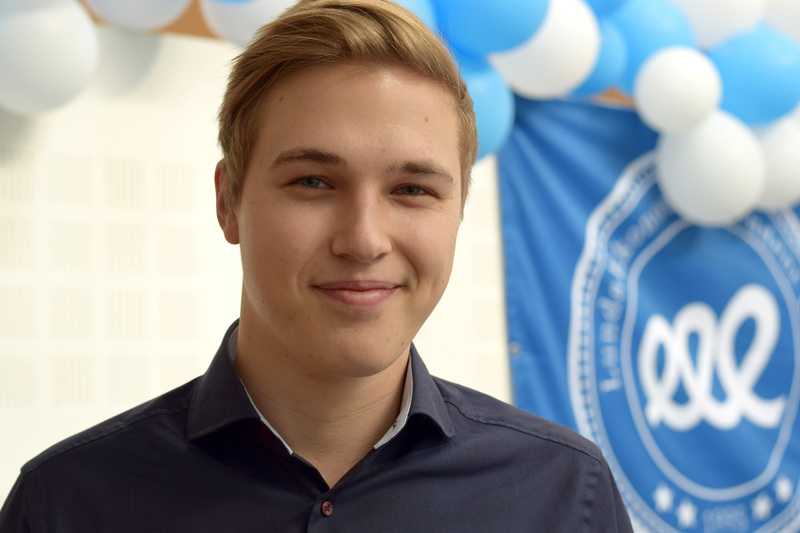 One of the students who got a chance of an exclusive interview in Lund was Niklas Sjölund, who is on his way of finishing a masters degree in marketing. - I was invited to an interview, which made me very happy. I visited Zalando's head quarters in Berlin with a group of students last year and was very impressed with the culture of the company. Especially the energy and the will to grow opened up my eyes to Zalando, he said. According to Zalando students in general are often interested in learning new things and since they are well adapted to new technology and the markets in general, they usually come with many ideas. Zalando often goes for potential rather than experience when the company is looking for new talents, communications manager Kristin Dolgner explains. - E-commerce does not have a long history. Even if you can find people with experience in for example purchasing, there are several areas within e-commerce where people with long working experience can not be found, simply because it earlier did not exist.